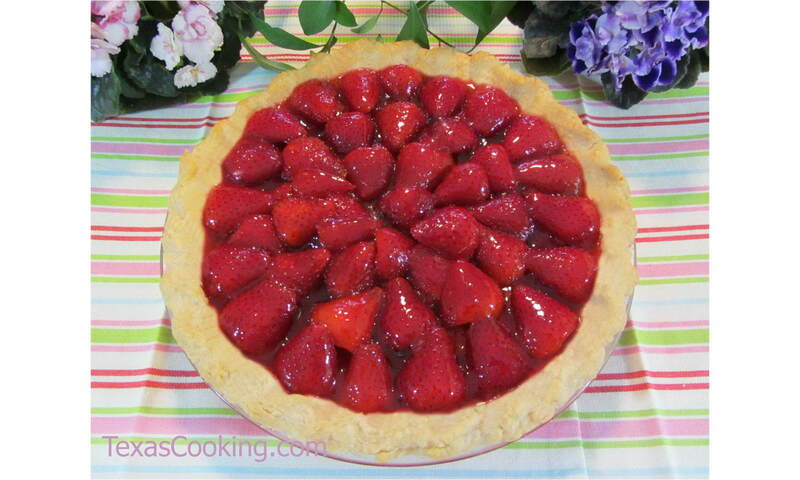 You can carefully arrange in a symetrical pattern the top layer of strawberries on this lucious pie -- or not. This pie will delight regardless of how the strawberries are placed. If you want to go the decorative route, however, chop most of the strawberries into small pieces and reserve the larger, more photogenic strawberries for the top layer. This will make your lovely pie easier to cut. And don't forget the whipped cream. In a medium saucepan, combine sugar and cornstarch. Add water and lemon juice. Over high heat, bring to a boil. Reduce heat, cook and stir until slightly thickened and clear, 4 to 5 minutes. Add Jell-O, and stir until dissolved. Allow to cool to room temperature. Stir strawberries into gelatin mixture. Turn into a baked and cooled 9-inch deep-dish or regular 10-inch pie shell. Chill 4 to 6 hours or until set. Serve topped with whipped cream, if desired. Note: This a generous recipe, so a regular 9-inch pie shell may not accommodate it. To ensure complete success, use a deep-dish 9-inch shell, or a regular 10-inch shell instead.